Home/Knowledge Base/Web Hosting/What is disk quota? – is the amount of storage limit that is set for your webhosting plan. This includes webhosting storage for website, emails, and databases. Where to find the disk quota? Follow the instructions below on how to find the disk quota of your package. Step 2. 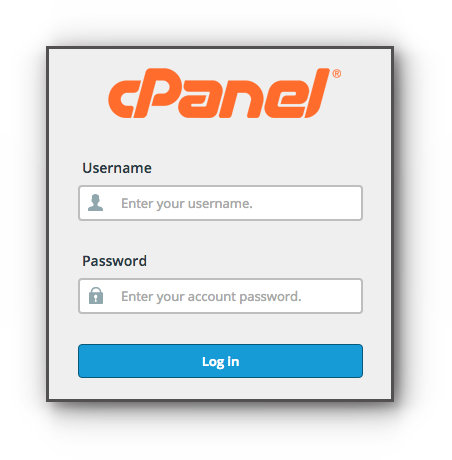 Located at the left hand side of your cPanel home page is the Disk Space Usage. You will also see other datas like CPU Usage, Entry Processes, Physical Memory Usage, etc. You may also click on Expand Stats link to see more datas for this panel that are associated with your website and hosting account. You may also check the disk usage through these steps. Step 1. 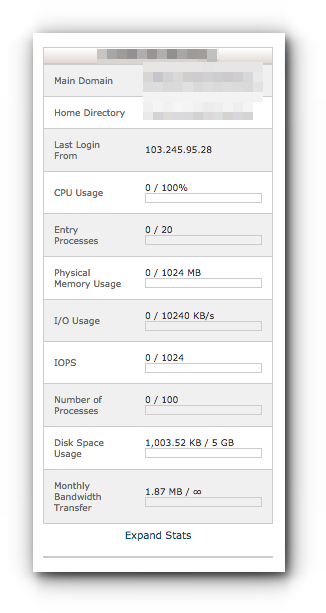 Still in the cPanel, look for Files panel and click on Disk Usage. Step 2. 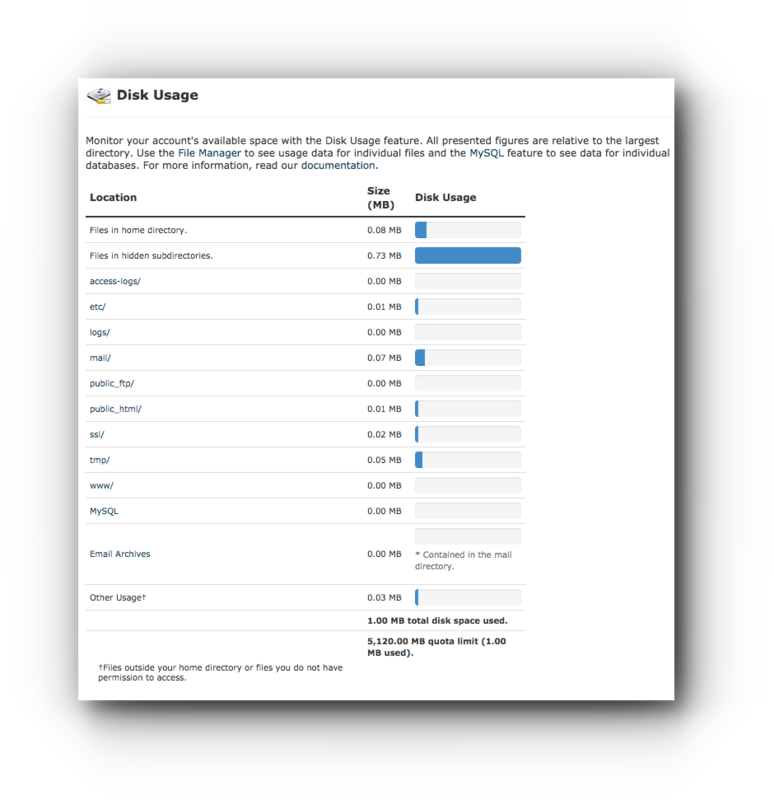 In the Disk Usage page, you will see more details of how much has been used by specific directories, emails, and databases.